Stephanie is thrilled to take on the role of Intern Artistic Director during 2017-2018 with The Musical Stage Company. Stephanie is a director, choreographer, producer and educator. Musical Stage Company credits include two years as a director for One Song Glory and choreographer for main stage productions of TheWild Party (Dora Award-Outstanding Choreography) and Grey Gardens. Her credits include as Director/Choreographer: The Little Mermaid, Key Change, All Shook Up (Globe Theatre), Johnny Belinda,Canada in Love (Smile Theatre) and Back in ’59 (Stephenville Theatre Festival). As Choreographer: Crazy For You (Port Hope), It’s a Wonderful Life (Theatre Aquarius), The Addams Family (Neptune Theatre-Merritt Award Nomination), Mary Poppins, The Drowsy Chaperone (Globe Theatre), Dogfight, Godspell, Colours in the Storm, She Loves Me (Theatre Sheridan), Next to Normal (Manitoba Theatre Centre), The Last Resort (Charlottetown Festival). 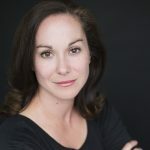 Her producing credits include shows for the Toronto Fringe, Next Stage Theatre Festival and Torrent Productions’ annual holiday pantomimes. She is the coordinator of Theatre Jazz at Metro Movement. Thank you to Theatre Ontario and the PTTP grant for supporting this internship with Mitchell Marcus and Musical Stage Company.